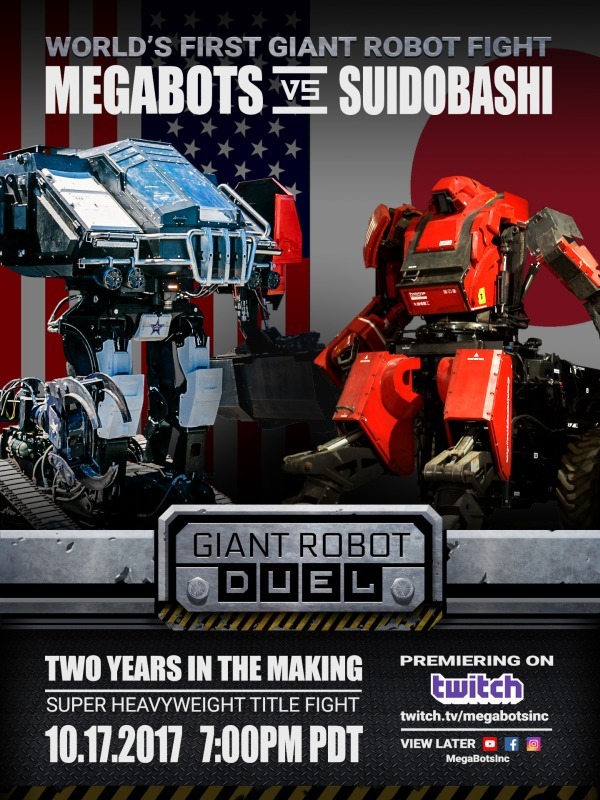 …a challenge which Suidobashi has now accepted, because “Giant robots are Japanese culture” – though they appear to stipulate that they first want both robots to outfit for melee combat, as opposed to their current functions. Alright, then. It’s not quite where this sort of thing was supposed to be by now… but I’ll take it. The fight is happening tonight on Twitch!